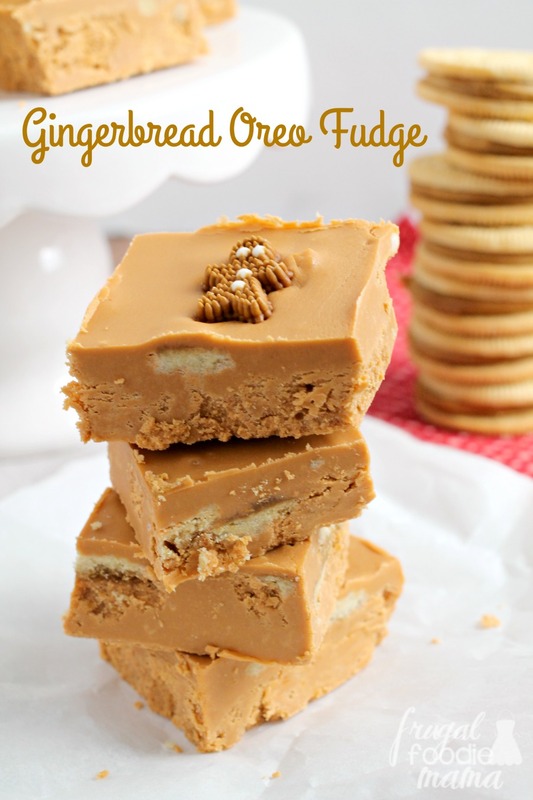 Gingerbread happens to be one of my favorite flavors of the holiday season. 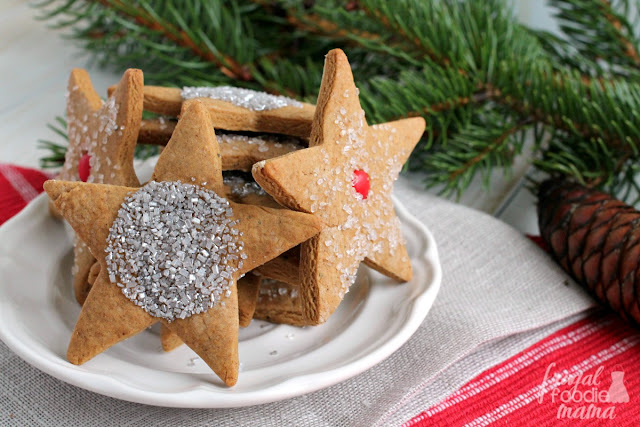 And surprisingly up until last week, I didn't have a single gingerbread recipe on the blog. But I am working quick to catch up by sharing my second gingerbread recipe with you all in less than a week- this easy to make & festive Gingerbread Oreo Fudge. 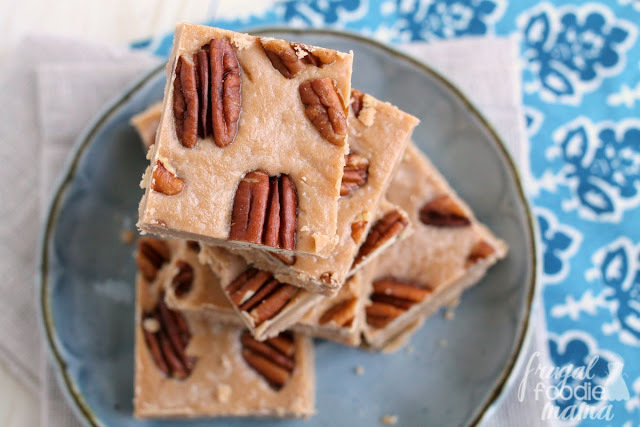 The inspiration for this fudge started in the holiday aisle of my local Target. Isn't that where all food bloggers find recipe inspiration? ;) I first spied the Gingerbread Oreos on an end cap, and I knew I had to grab a pack to take home. Then I saw a pack of the cutest gingerbread men icing decorations from Wilton, and the wheels began to turn very quickly. Why not make a fudge chock full of my favorite Christmas flavor & decorate it with these tiny gingerbread men? Place the white chocolate chips and cinnamon chips in a microwave safe bowl and cook in microwave for 1 minute. Spoon the tub of vanilla frosting in with the semi melted chips. Do not mix. Microwave on high for another 30 seconds. Stir until the frosting and melted chips are well incorporated. Fold in the chopped Gingerbread Oreos. Press the fudge/Oreo mixture evenly into the parchment lined pan. 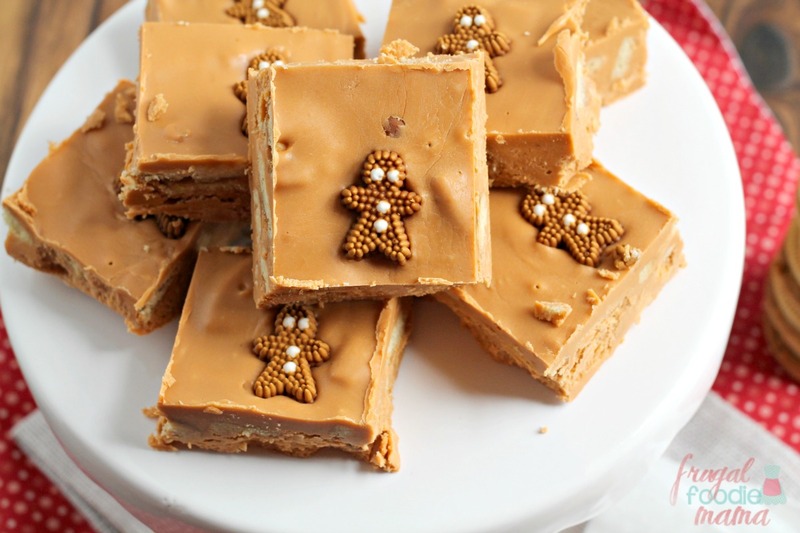 Press the gingerbread icing decorations evenly spaced out into the top of the fudge. I did 4 rows of 3 (1 for each square of fudge). 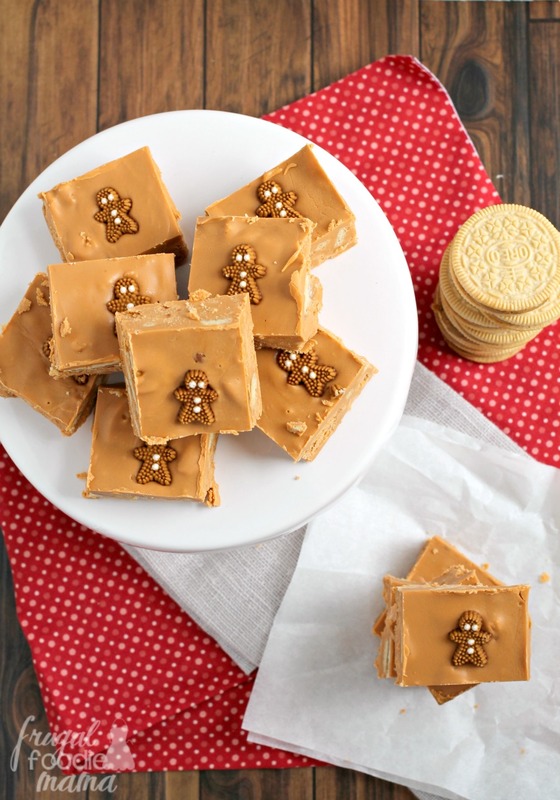 Using another small piece of parchment paper, press the gingerbread men into the top of the fudge and smooth out the top. Store any leftovers in an airtight container at room temperature for up to 7 days. If you cannot find the Gingerbread Oreos, you could substitute Golden Oreos. But it is definitely worth the effort to track down the gingerbread ones if you can. Trust me on this. I have had no problem finding them at my local Target most weeks though. What is your favorite flavor of the holiday season? 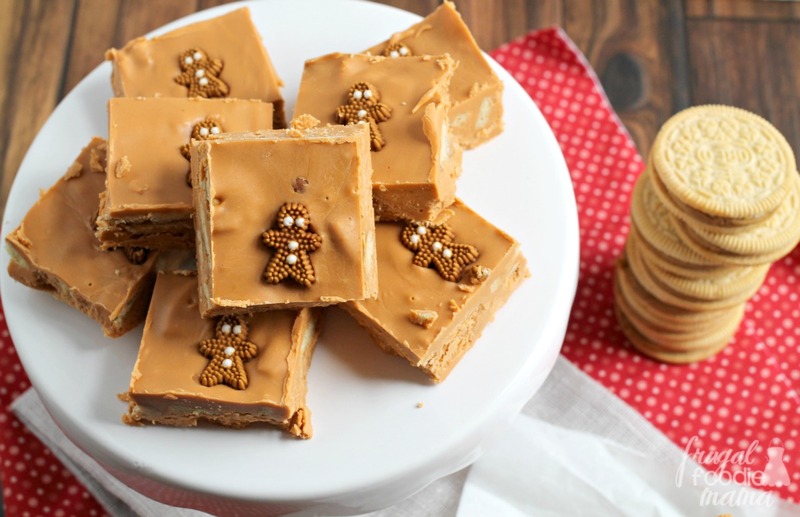 Are you Team Gingerbread too?